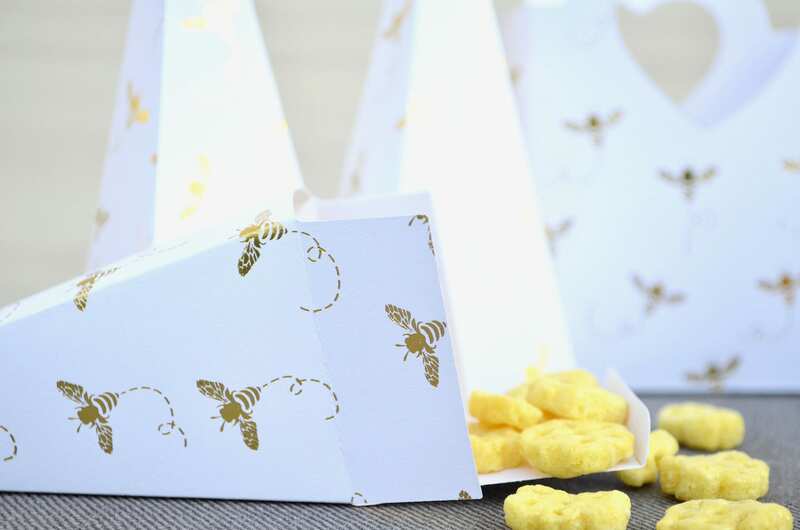 Gold Foil Honey Bee Boxes for Confetti, Small Gifts, or Party Favors - Choose from Heart Topped Boxes, Cones, or Heart Handled Bags. 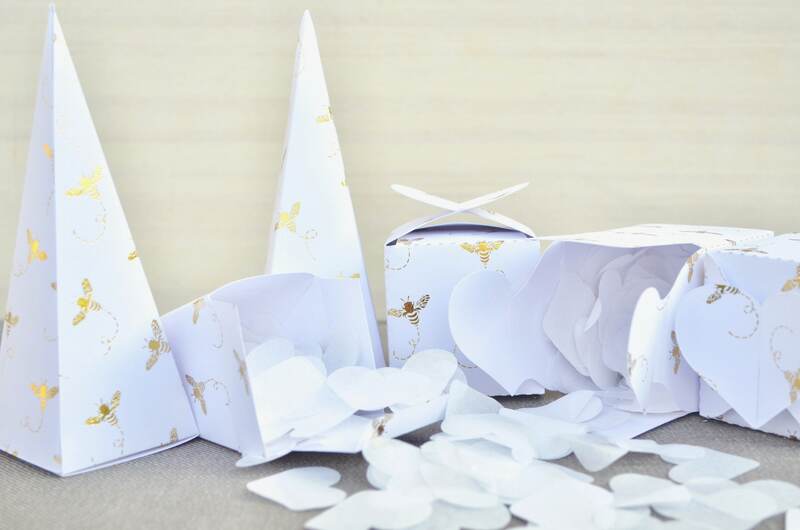 Perfect for confetti, birdseed, dry cereal, candy, or small favor gifts. 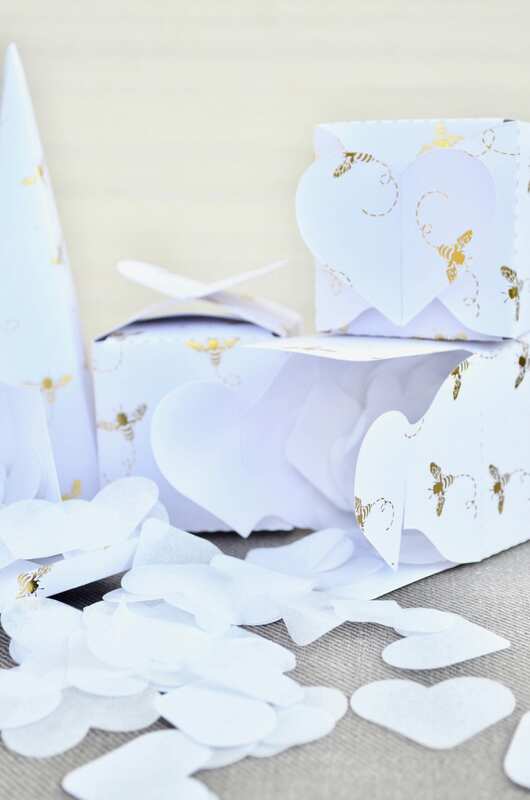 Each box is 2"sq and features a lid that when completed, creates a heart. 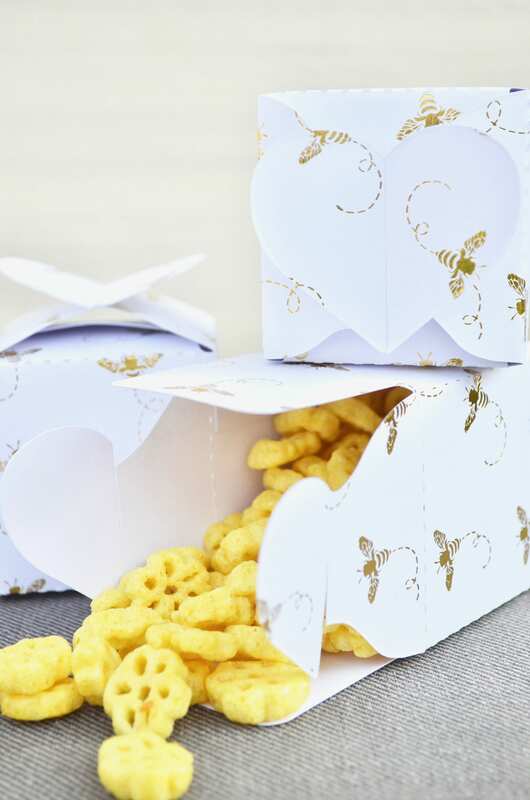 A great bag for small gifts, gift cards, candy favors, and more. 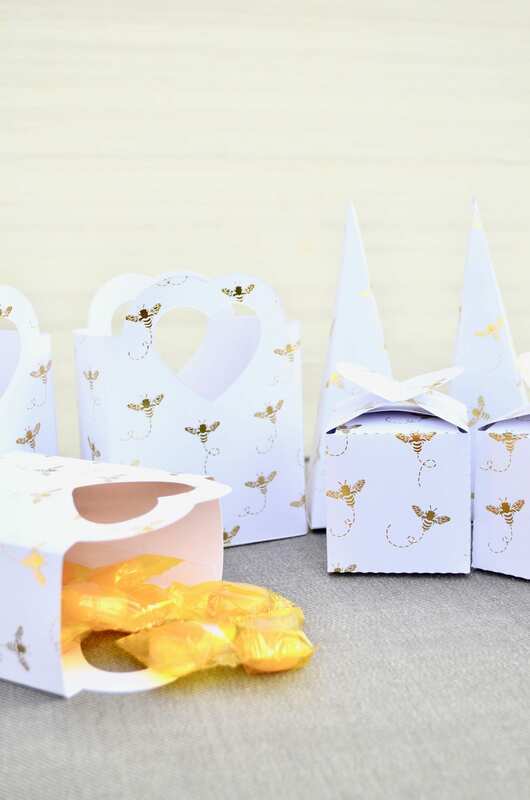 Each bag is 5" tall from the top of the handle to the base, 2" deep and 3 3/4" wide. Please note that a small piece of clear tape may be needed to keep heavier items from pushing the bottom open. Tape not included. 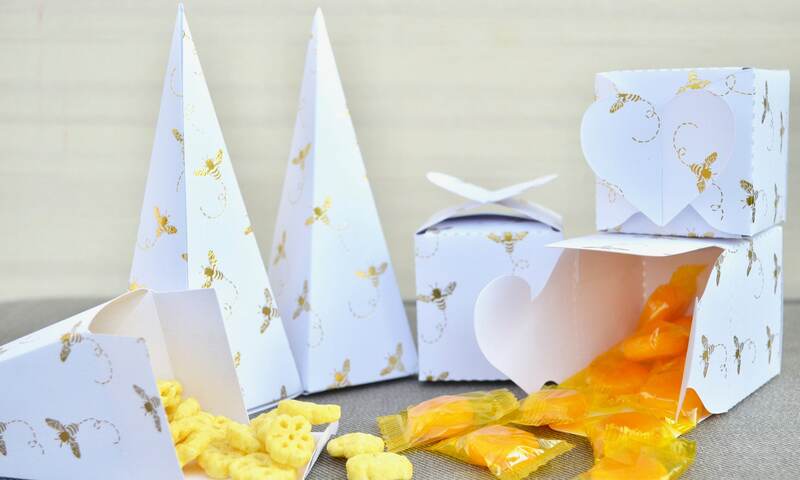 These cones are ideal for candy, confetti, popcorn, birdseed, dry cereal and much more. 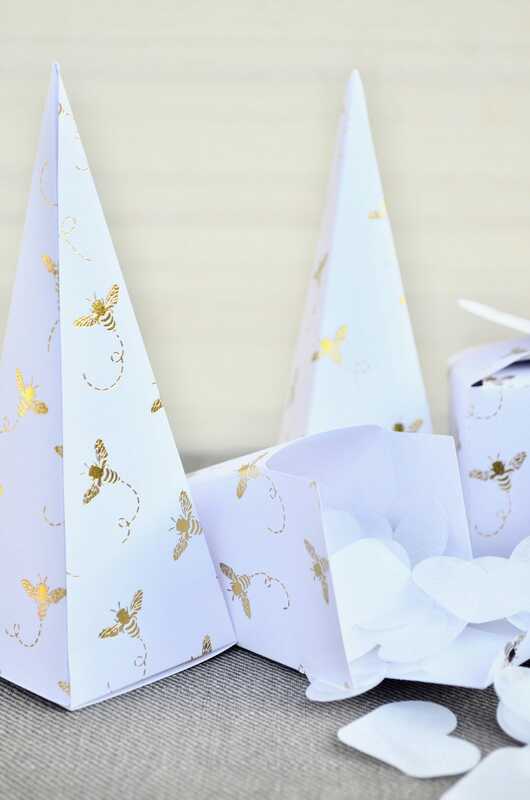 Each cone is 6 inches (15 cm) tall from tip-to-top and 2"sq at the top. Props Not Included. Each of our items are hand crafted in a smoke free, pet free, peanut free studio. 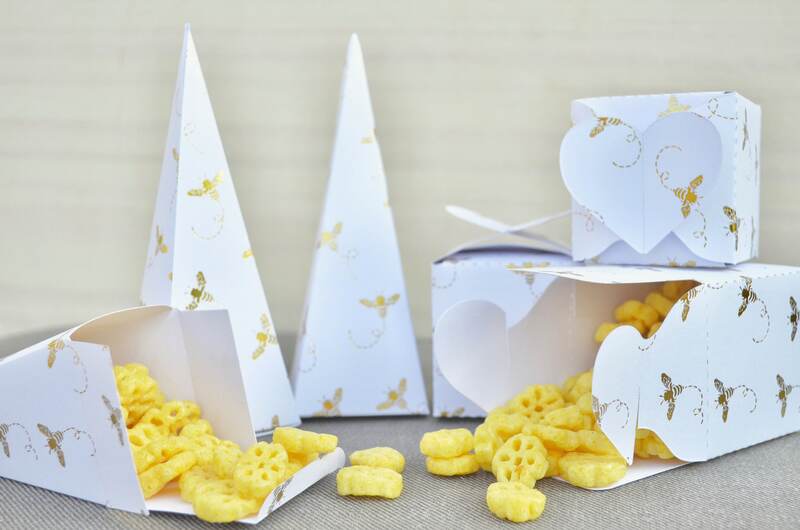 Great quality and they looked so nice with the other favors. I will defiantly use this merchant again. 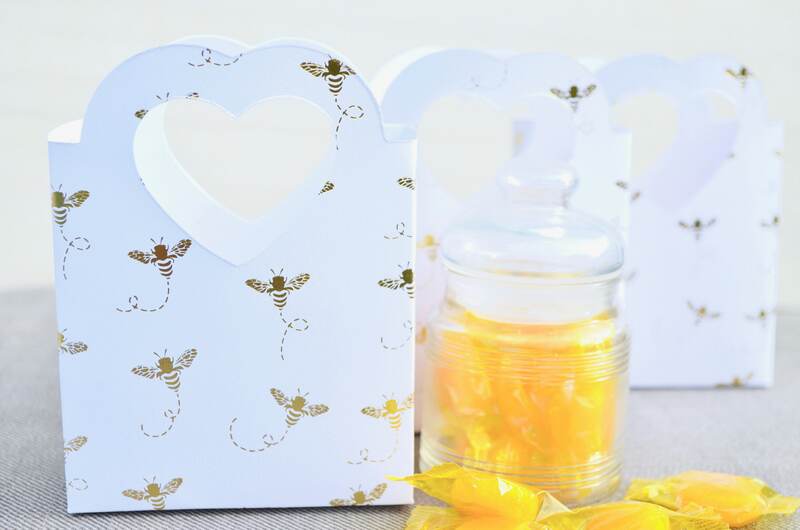 These boxes were perfect to add to the thank you goody bags for our daughter‘s baby shower with the theme mommy to me. I added hard tack candy with honey in the middle and there were lots of compliments.